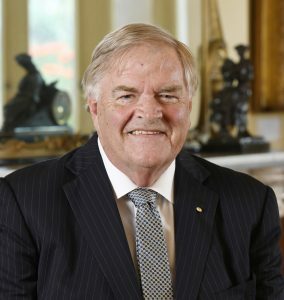 Australia-Britain Society (WA Branch) Inc.
Patron: The Honourable Kim Beazley AC, Governor of Western Australia. In a spirit of traditional friendship the Society aims to encourage and strengthen links with the British Isles through: history, language, literature, culture, education and sport. Western Australia is the largest of all the states in Australia and occupies around a third of the entire continent. It is bordered by the Indian and Southern Oceans and the Northern Territory and South Australia. This resource rich state is one of the most abundant mineral rich regions in the world. Most of the population Western Australia live in the south west, in and around the capital, Perth. The south west also has some well known wine regions such as Margaret River. To the north west of the state are the rugged and remote Kimberley’s which are considered Australia’s last frontier. This majestic and unique region covers over 400,000 square kilometers and is punctuated with magnificent gorges, canyons and unique land forms, millions of years in the making. (Twe lve historic bells from St-Martin-in-the -Fields church in Trafalgar Square London were donated to Western Australia in 1988 as part of the Australian Bicentenary celebration. They welcomed Captain James Cook in London after his great voyage of discovery in 1771.They now ring out in Perth Western Australia as the Swan Bells). On the 10th December 2015 it was 15 years since the Bell Tower opened. The Bell Tower houses one of the few sets of royal bells in existence, and the only ones known to have left England.